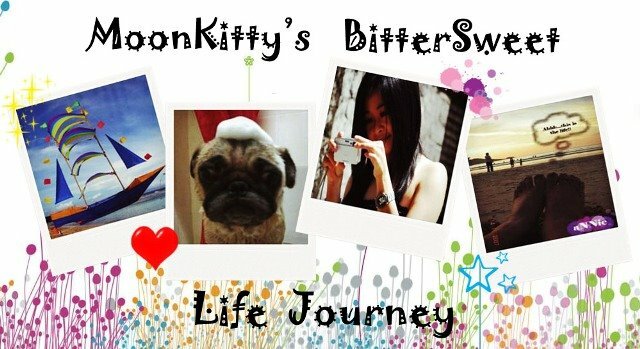 MooNkitty's BitterSweet Life Journey: Let's care together!! T________T such a bad day for me ( let me explain how) plus extremely tired which I think I'm over tired until can't sleep. 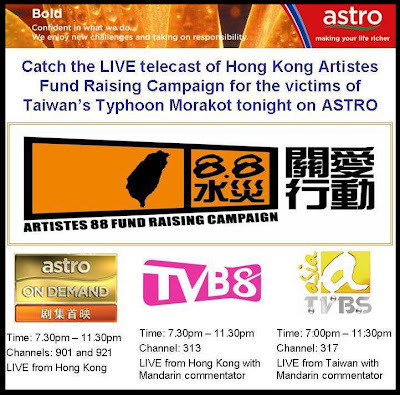 Just got back home from work after doing "AOD live telecast"of Hong kong Artistes 88 Fund Raising Campaign program for the victims of Taiwan's Typhoon Morakot. Supposedly I finished my work early morning at 5am and able to spend time with my parent. 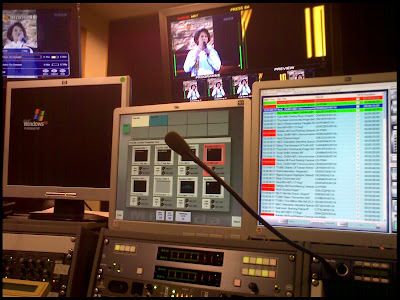 But last minute live telecast booking forced me to go back to work again at 5pm. When thinking it's a charity program, I'm sincerely want to do the live program no matter how tired I am. As we all aware, Typhoon Morakot slammed into Taiwan, the southern Village of Xsiao Lin on August 8, dumping more than 2 meters of rain that unleashed floods and mudslides which cause hundreds of villages and town were flooded and more than 2000 houses had collapse. Before that, I woke up after 3 hours sleep and spend few hours with my parent at Sunway Pyramid before heading to work. After that, driving through pretty heavy rain all the way to office. saw this at CROC. I want it!! Safely reached office half an hour earlier and the live telecast smoothly on aired unless a bit messy with the rundown as they running out of time. Need lot of my concentration. Cant even go to toilet for pee pee. T____T But I'm happy as the fund raising went successfully and help is on the way.I pray and hope from the bottom of my heart that those victims affected by the typhoon are getting the helps and attention needed. GOD bless Taiwan & Taiwanese!! The live telecast ended at 11.35pm and after done with the report, I walked to get my car. Damn!! I can't start up my car. At first I thought it was battery problem and try to jump start up my car using jumper cables. My colleague, Ikmal helped me by using his car. 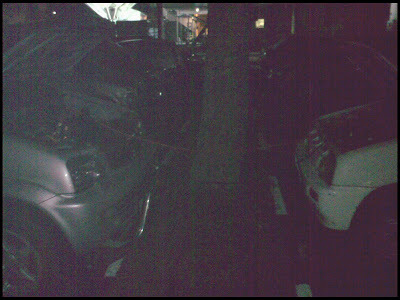 After that, we try to use the other method which we start up the car by pushing the car. Again, we failed. Finally I give up. Called my sis, Winnie to pick me up. Leave the cutie Kancil and will fix it tomorrow. I feel like going to shut down anytime.